Dr. Royal Raymond Rife developed Rife “Machines” over 80 years ago. Mr. Rife also invented a powerful microscope, not unlike darkfield microscopes of today. With his invention, he was able to see pathogenic viruses and bacteria and watch them devitalize/die when he turned on his “machine”. Rife technology is an electronic device, which pulses a light (plasma energy in radio-wave spectrum), and electro-magnetic field. The energy output is very safe because it is a square wave, exactly like the energy output from your car’s ignition system. It is this pulsated energy, that makes the Rife, and similar devices, unique. 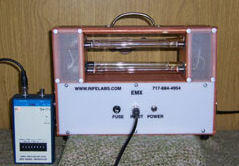 Tuned to the correct number of pulses per second, herein called frequency, a rife machine was observed by Dr. Rife to actually break apart pathogens, killing them, while leaving surrounding tissue unharmed. These cycles/frequencies are often referred to as Hertz, MHz, or kHz — which is simply how these cycles are measured scientifically. 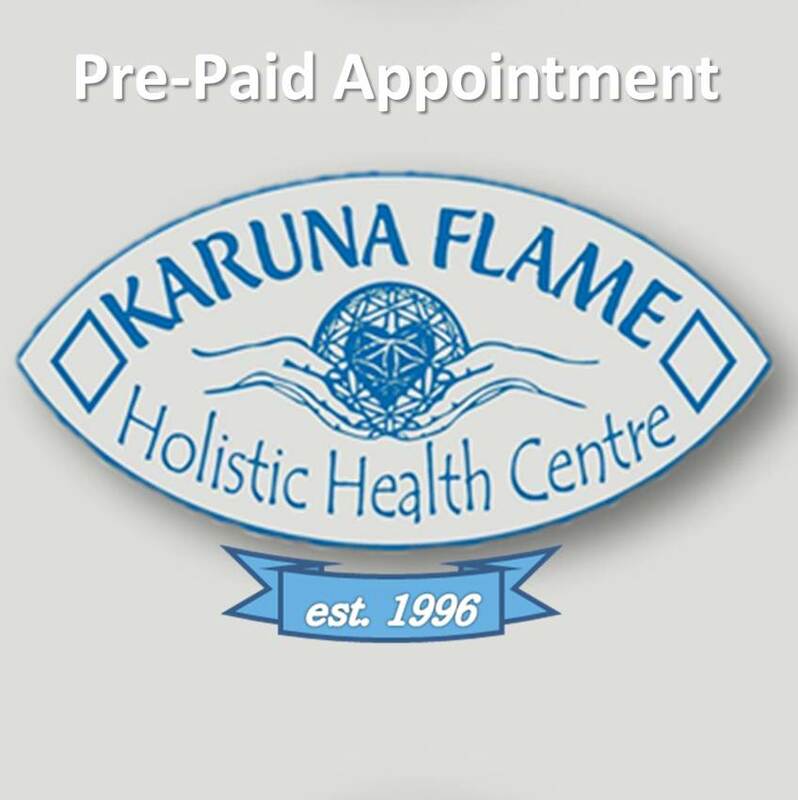 In Karuna Flame – Holistic Health Centre, we offer a unique sessions using Rife Frequency based on his original blueprint and research. We do not make any health claims, but rather allow people to discover for themselves. This is obligatory and non-refundable pre-payment for any appointment, health screening, and/or treatment. Pre-payment is 30 Euro + 2 E processing fees. The remaining fee will be paid in cash on the day of the visit. ... In the window below (instruction), type the type of appointment you are booking for. If you do not have credit/debit card or online PayPal account, please forward a Postal Order (leaving ‘pay to’ section blank, for the sum of Euro 32) to arrive at the Centre/Clinic not later than 3 days before the date of appointment. Please include your name, contact number and the test and/or treatment, that you are booking for. Who is Dr. Royal Raymond Rife ? Royal Raymond Rife (1888 – 1971) was a brilliant scientist who developed technologies which are still in use today in the fields of optics, electronics, radiochemistry, biochemistry, ballistics and aviation. During the 66 years that Rife spent designing and building medical instruments, he worked for Zeiss Optics, the U.S. Government, and several private benefactors. Using a remarkable new Universal Microscope he designed and built, Rife identified what he termed Cryptocides primordiales – a extremely small virus (also known as Bacillus X – BX), which he was able to culture. He identified it a the basic cause of all cancers and created 400 tumors in succession in laboratory animals from this same culture. 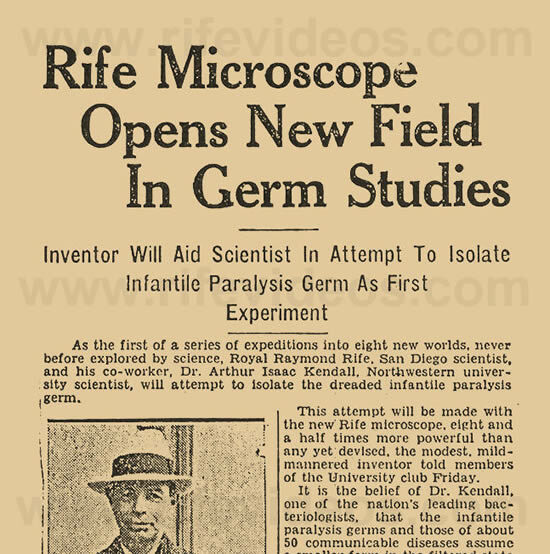 Dr. Royal Raymond Rife documented a “Mortal Oscillatory Rate” (MOR) for various pathogenic organisms, and claimed he was able to destroy pathogenic organisms by vibrating them at this particular rate. On November 20, 1931, forty-four doctors attended a dinner advertised as “The End To All Diseases” at the Pasadena estate to celebrate the achievements of Dr. Rife. 1934 Summer: The first cancer clinic using Rife technology was established. A special University of Southern California Medical Research Committee chaired by Milbank Johnson was formed to oversee the research. In the clinic, Dr. Rife attended 16 patients. The patients were a mix of cancer and tuberculosis cases and it appears that all of them eventually were cleared of their diseases. Indeed if this is true, and there is a lot of circumstantial evidence to support this, then this would be one of the most significant medical discoveries of the 20th century. According to the San Diego Evening Tribune in 1938, Dr. Rife stopped short of claiming that he could cure cancer, but did argue that he could “devitalize disease organisms” in living tissue, “with certain exceptions”. Unfortunately, his fame was very short lived because IIWW started and all the attention shifted to a global war drama. In a meantime, Rife and his reputation was attacked by a ‘Big Pharma’ and his discoveries were buried. Everything what Dr. Rife has done was documented with film, photographs and meticulous records, but during the persecution time, most of his records were destroyed (thankfully not all). … Of course, if we would live in a very honest and free world, without medical censorship, a world which is not dominated by greed and political correctness , this information would not only be known everywhere, but all the funding will be directed to develop this technology further and make it available to masses. Unfortunately, due to politics in medicine, Rife’s work was vigorously discredited by the multi-billion dollar medical establishment, and it remains so to this day. But many scientists and doctors have since confirmed Rife’s discovery of the cancer virus and its pleomorphic nature, using darkfield techniques, the Naessens microscope, and laboratory experiments. Now, world-wide community of ‘Rife users’ is growing strong, testifying to the effectiveness of this approach. Despite attempts to silence the story over the last few decades, Dr. Rife is becoming more and more known for his possible discovery of an effective treatment for Cancer and other diseases. Here in Europe, there are a number of doctors and clinics openly using the Rife method for treating patients for cancer and many other diseases. We also know of a reputable manufacturer of medical equipment in Germany (Onco-Therm GmbH) that already produces a commercial unit for hospitals that includes the Rife protocol as part of a comprehensive treatment for cancer and is presented on a regular basis at the Medical trade fair in Germany! Other companies are known to be in the process of preparing their own machines for release into the European market in the near future. Although the medical establishment here in general is not yet aware of Rife’s discovery, there are certainly plenty of signs that this will be changing in the near future. 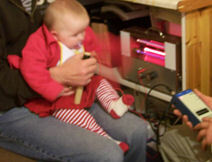 Learn more about a nonprofit research into healing effects of Rife Technology: http://www.novobiotronics.com/ conducted by Prof. A. Holland in USA. 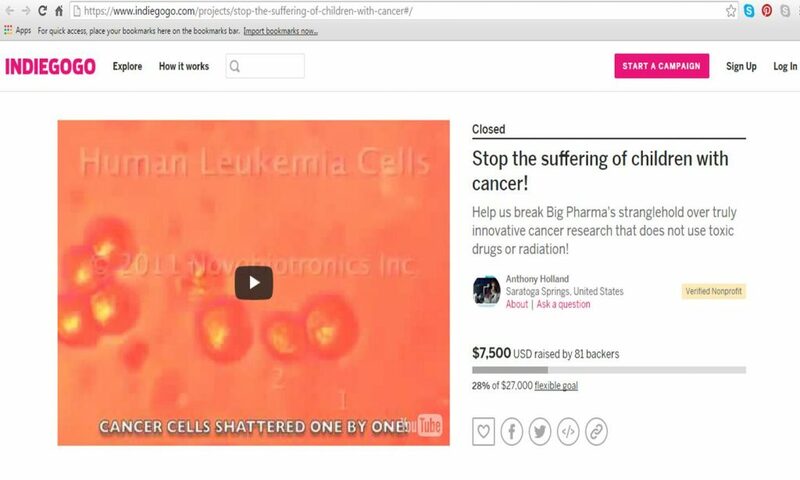 We have learned about Novobiotronics research around three years ago in 2013 and decided to make a donation to support its efforts in finding and testing the frequencies which lyse the pathogenic cancer cells. According to us, this is one of only few trustworthy cancer research projects which gears to treat cancer without causing the damage to the rest of the body, while using Plasma Radiowaves frequencies,! As of June 2016 a decision has been made to to post a link to Novobiotronics on our page. 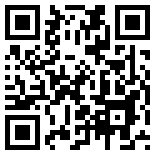 Please feel free to learn more about new findings in non-invasive and safer cancer treatments. The research has documented so far the ability to eliminate MRSA and shatter 60% of cancer cells in their experiments in 2015 and slowing the growth rate of cancer by up to 45% or more…and all of that achieved without the use of any toxic drugs, chemotherapy or radiation. Despite the fact that the research has been made public during TEDx presentation, the Big Pharma is not interested to support it. Because of the ‘politics of medicine’, many medical doctors and researchers, who seek alternative and safer methods of addressing the cancer, are solely dependent only on the support of the public.